Why was this book on my TBR? I had heard high praise from plenty of people for Pivot Point, but the most recent person to rave about this duology that I can recall is Kristin from Super Space Chick. (Hi Kristin! I finally read it!) Anyway, I’ve had this one on my Kindle for years now (Hello $1.99 Kindle deals! ), so it made sense to include it on at least one of my TBRs this year. What is the book about? Addison Coleman is a Searcher; when she is faced with a choice, she can ‘see’ the future for both possibilities to see the outcome. When her parents announce that they are getting divorced, Addie uses her ability to see six weeks into the two potential futures she has – leaving the paranormal compound to live with her father among the ‘Norms’ or staying in the compound to live the life she’s always known with her mother. What did I think of the book? 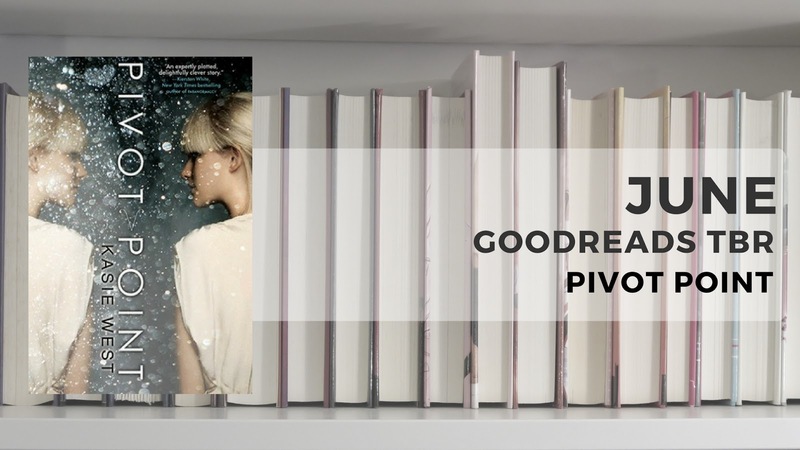 I started Pivot Point on a whim one day… and ended up reading it over the course of a couple of hours because I could not stop once I’d started it. I was promised an addictive, compelling story, and that’s precisely what I encountered! The entire premise – Addie faced with a choice and being able to ‘see’ what’s going to happen – is so fascinating. The execution – splitting the story into the two timelines, alternating chapters between the two and the inclusion of common details in both – is well-done and clever. I also loved the characters, particularly Addie, who is smart, sassy, a book nerd (! ), and all-around someone I could see myself being friends with in real life. (I also want to briefly mention that I have a definite preference in terms of the guys, but I won’t say who just so no one can say I influenced their feelings one way or the other.) It did get a little dramatic towards the end. But I still thought it was engaging, and fun, and I’m really excited to eventually pick up the sequel! Favorite scene? There is a kiss scene that I’m particularly fond of, though who is being kissed or doing the kissing is something that I’m not going to talk about.